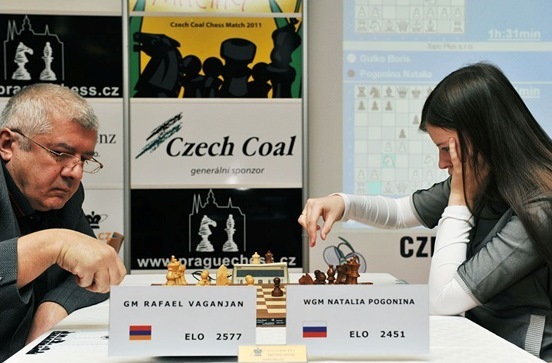 62-year-old Rafael Vaganian was never the hardest working of grandmasters, but the talented Armenian was arguably the world’s third best player at points during the 1980s and still featured in the Top 50 while already in his mid-50s. In a recent interview he talked about some of the world champions he’s known, speculating that Garry Kasparov quit chess because he’d lost his opening edge over his rivals, and questioning whether Magnus Carlsen has yet reached the level of the past greats. He fancies Viswanathan Anand’s chances in the upcoming World Championship rematch. 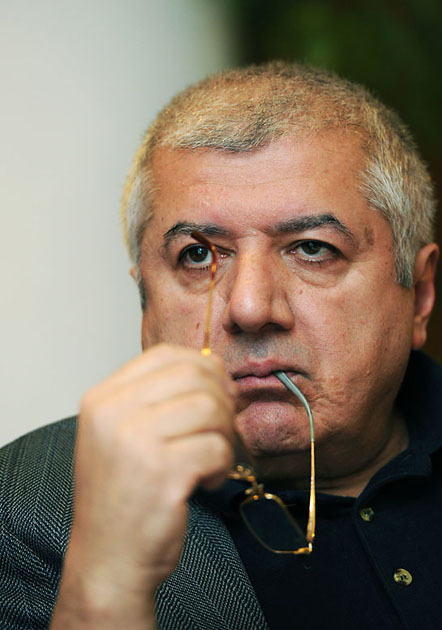 Sergey Kim: Both at the board and simply in life you met all the Soviet world champions from Botvinnik to Kasparov. The world champions of the twentieth century – of your generation – and the champions of the third millennium – first and foremost, Carlsen: how do they differ? Rafael Vaganian: It’s hard to compare, because the chess is totally different. Those champions worked in another setting, playing another kind of chess. With no computers, they worked and created on their own, and their creativity was immense. If they found something it was with their own minds, while now there are these amazing programs. Theory has “grown” to 30-35 moves, and you simply can’t compare the two types of chess. Frankly speaking, I don’t like modern chess, and I’m not sure what’s going to happen next. After all, a person isn’t capable of remembering so much, so they simply suffer because of it. They need to remember and learn it all, but then what of creativity? They barely play at the board, but at home, and that’s bad. I consider those champions to have been greats, though perhaps that’s natural, since I’m a chess player of that generation – the Soviet School – and it all means a lot to me. I find modern chess alien, so it’s possible I’m not objective. Botvinnik, Karpov, Kasparov – they beat everyone for 10-12 years in a row, while for me the thirteenth champion is a separate topic. 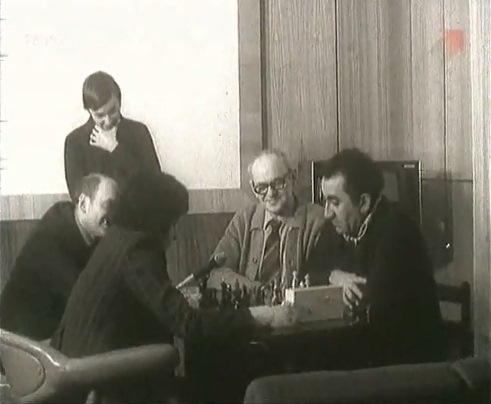 The way Kasparov and his group worked was incredible. They were a class above the rest and therefore he crushed everyone. Garry won a huge number of games in the opening. His preparation was colossal! But he found moves himself at the board rather than the computer coming up with them. Back then people still beat computers, while now even the world champion can’t beat a computer. With which of the world champions did you have a good relationship? With many of them… I got on very well with Spassky and my relationship with Tal was simply wonderful. I’ve been friends with Karpov since childhood and still am to this day. And among the champions, who would you nevertheless rank above the rest? For me the number one was Fischer, and after him I’d put Karpov. Karpov played very subtly. In his best years he would outplay opponents in an incredible manner. It was class of the very highest level! Kasparov crushed everyone in the opening – in his best years he was head and shoulders above the rest and it was simply impossible to play him as Black. He gave chess an incredible number of ideas. He worked a lot and deserved his results, but when people began to approach him in terms of knowledge, with the help of computer programs, Garry stopped playing. I’d like to have seen how he would have played when everything levelled out and he no longer had such an advantage. Would he have won tournament after tournament? I think not. He probably realised that and quit. He says something else, but I think that’s the way it was. Carlsen. The way he wins amazes me – phenomenal results! Almost 2900. But how do people play against him? I don’t understand – are they simply afraid? In good normal positions they offer draws, and when they’re worse he just finishes them off. I don’t know, but it’s impossible to post such results. It’s simply not normal. Incidentally, I think Kasparov once characterised Carlsen by saying he plays as subtly as Karpov but is physically prepared like Fischer – a hybrid! But personally I don’t agree that Carlsen has reached such a level. But now it’s a different situation! Anand looks absolutely normal and won a wonderful Candidates Tournament. He must be feeling confident. He simply shouldn’t think he can catch Carlsen in the opening – he needs to forget about that, as you can’t catch Carlsen in the opening. It’s hard to outplay him at the start of the game. He plays himself and allows others to play, so you need to PLAY against him! And you also need to be physically prepared, and then Carlsen won’t demonstrate anything new. He’ll keep playing to the point of exhaustion, as always. He keeps on manoeuvring and manoeuvring until his opponent goes wrong… He’s not, after all, in the same class as Fischer. That guy could create!